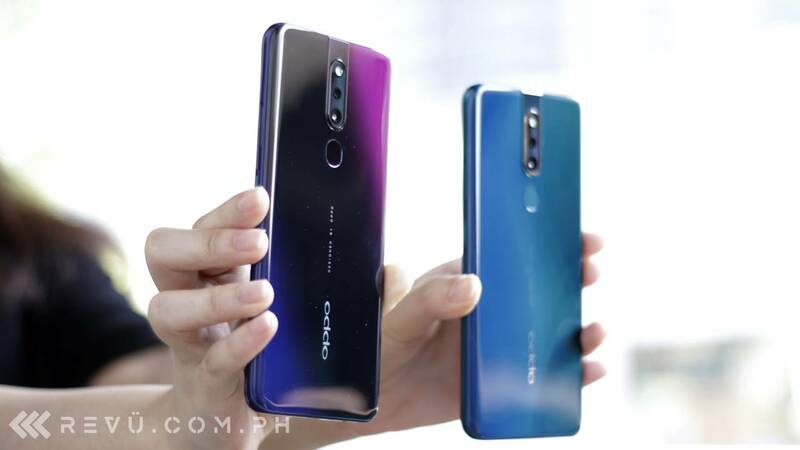 The local price of the OPPO F11 Pro is P18,990 (around $361), and it comes in two gradient colors — Aurora Green with a bright blue-green hue and Thunder Black, which transitions from black to purple depending on how you’re holding the device. Preorders go live on March 28 until April 5 in OPPO stores and authorized retailers nationwide. Customers can begin claiming their units from April 6, and those who participate in the presale will receive a Bluetooth speaker worth P2,499 ($47). 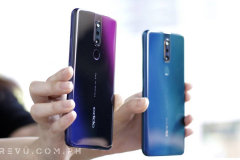 Besides the traditional cash and credit card payments, the F11 Pro is also available through Home Credit installment plans and major cellular operator Globe Telecom via a data plan like ThePlan 1499, which doesn’t charge extra (at least in this cae) to cover the cost of the device. Speaking of, the phone itself focuses on camera quality, both on the front and at the back where there are two lenses to shoot with. The 16-megapixel selfie camera, in particular, will not be visible when not in use; it’s motorized and pops up automatically the moment you switch to selfie mode in the camera app. It’s similar to the Vivo V15 and V15 Pro’s front-facing camera. 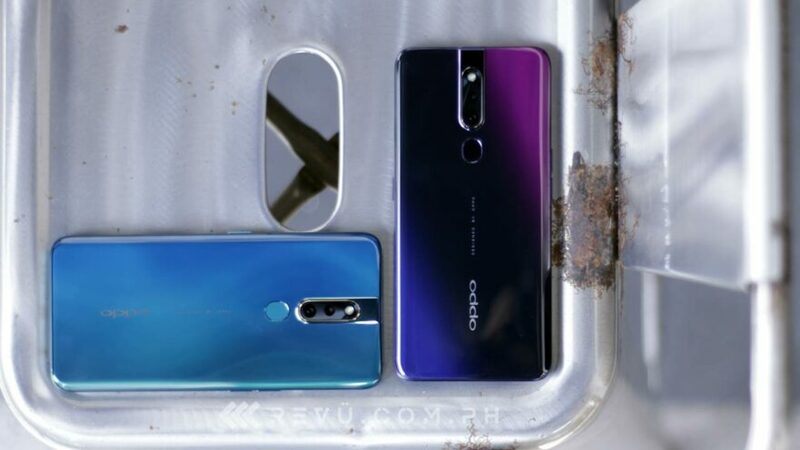 The rear setup, meanwhile, includes a 48-megapixel primary shooter and a 5-megapixel depth sensor for natural-looking bokeh in portrait shots. OPPO says the main camera has a large image sensor that is more sensitive to light than your average smartphone-camera pixel. With the help of artificial intelligence, it can create brighter pictures with less noise in Ultra Night Mode. While in daylight, Dazzle Color Mode will boost colors dramatically and results in a more vibrant image. Warmer colors like reds and yellows will pop even more. The nearly-bezel-less, notch-less screen is quite roomy, measuring 6.53 inches end to end, with a resolution of 2,340 x 1,080 and a 19.5:9 aspect ratio. 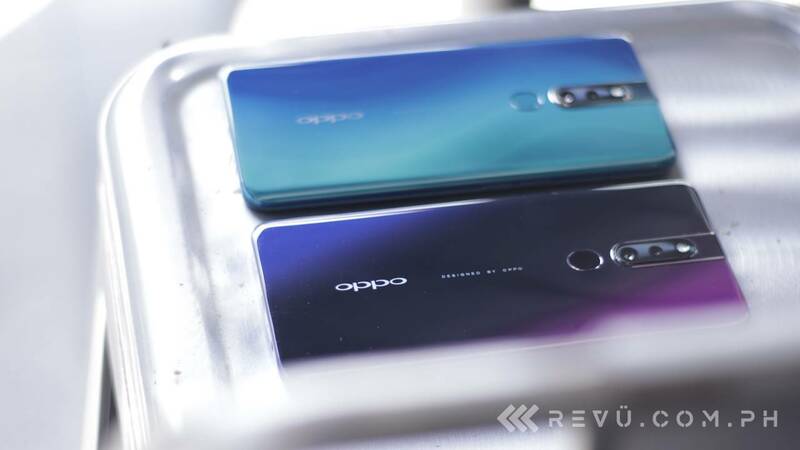 It’s an LCD, not an OLED, but it’s a pretty good display that OPPO managed to curve around the phone’s edges to make for smooth, rounded corners. The processor is still from MediaTek — this time, it’s a Helio P70 spec paired with 6GB RAM and 64GB storage. The Helio P70 is a marginal improvement over Helio P60, benchmarks suggest. Powering the F11 Pro is a 4,000mAh battery that supports 20-watt VOOC fast wired charging over a microUSB connection. 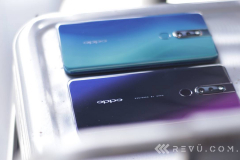 OPPO quotes a charging time of 80 minutes from zero to 100-percent capacity. 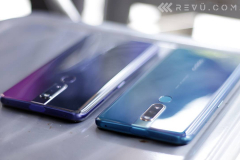 The new-look OPPO F11 Pro make some big changes on the outside although it performs about the same as its predecessor, too. 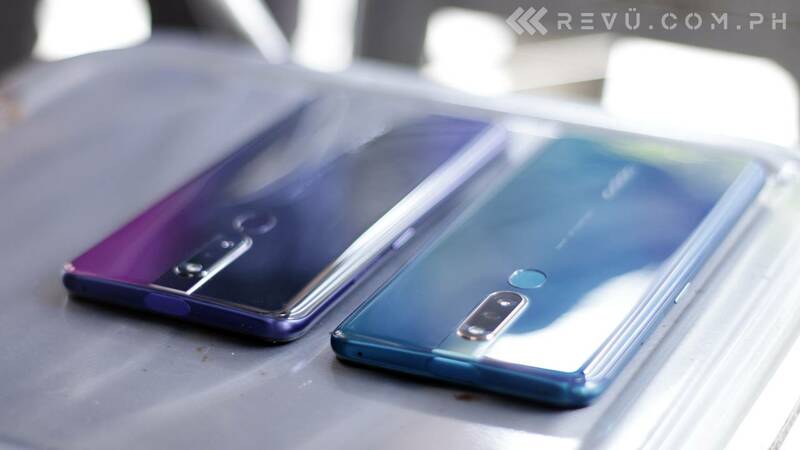 There is a plethora of excellent choices in the midrange right now, and it will be interesting to see where the F11 Pro sits against rival handsets.